Former vice president and ex-Delaware senator Joe Biden: Will he jump into, or stay out of, the 2020 presidential race? Feb. 13, 2019 — Major action is beginning to occur within the Democratic presidential field. Sen. Amy Klobuchar’s (D-MN) announcement entering the race on Sunday means that now 11 individuals are official candidates or have working exploratory committees. Expect more to be on the way. Three more Democrats, men who we have yet to hear much from, confirmed that they in fact are taking serious steps to potentially enter the presidential field just a couple days ago. US Reps. Tim Ryan (D-OH) and Seth Moulton (D-MA) told media sources that they both may become candidates. Ryan is going so far as to travel to Iowa and New Hampshire later this week. New York City Mayor Bill de Blasio is also making a trip to the Granite State, site of the first-in-the-nation primary, but he has, at least until now, been categorized in the “less than likely to enter” group. 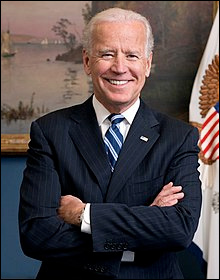 Former Vice President Joe Biden continues to hover above the active candidates with a great deal of speculation surrounding his potential candidacy. Many believe he will soon enter the race, but just as many are also predicting that he will ultimately decline to run. The McClatchy news organization, owner of 31 local newspapers that stretches from California to North and South Carolina, published an analysis article early this week from DC Bureau reporter Kevin Roarty summarizing his interviews of 31 Democratic strategists who largely believe that Biden might actually prove to be a weaker candidate than Hillary Clinton. Sept. 4, 2018 — Bay State voters head to the polls today to choose nominees for federal and state office. In the Senate race, Republicans will select an opponent for first-term Sen. Elizabeth Warren. But the question looming is whether she will quickly jump into 2020 presidential campaign immediately upon concluding her re-election in November. Republicans have three candidates vying for the party nomination: state Rep. Geoff Diehl (R-Plymouth), former Department of consumer affairs director, Beth Lindstrom, and businessman John Kingston who has loaned almost $5 million to his campaign. All three have generated well into seven figures in campaign resources. But, whomever wins the nomination tonight will begin the general election in an obvious underdog position to Sen. Warren. There are several US House primaries to be settled today. The most competitive incumbent challenge comes against ten-term veteran Rep. Mike Capuano (D-Somerville). He is working to repel a challenge from Boston at-large City Councilwoman Ayanna Pressley. Presley is a strong candidate, having been twice elected citywide to the Boston Council. Most of the Democratic political establishment has fallen in behind Congressman Capuano, i.e., Boston Mayor Marty Walsh, ex-Gov. Deval Patrick, and major labor union leadership. This, in addition to his 20-year service record in Congress and as mayor of Somerville before coming to Washington, largely gives him the support base necessary to win another re-nomination tonight. 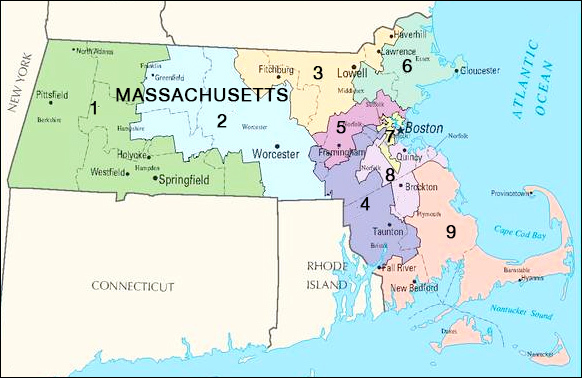 The latest publicly released MassInc poll (July 27-29; 403 likely MA-7 Democratic primary voters) gave the congressman a 48-35 percent advantage and showed Presley performing well in Boston, but not outside the city. Capuano’s margin in the non-city portion of the district, in places like Somerville and Cambridge, should be enough to carry him to victory tonight. Winning the Democratic primary here is tantamount to victory in November. Rep. Richard Neal (D-Springfield) is also facing a Democratic primary challenge in his western Massachusetts district. His opponent, Muslim activist Tahirah Amatul-Wadud, gains more media attention than campaign support, however. His finances show just over $112,000 in total receipts. Therefore, Rep. Neal should win easily tonight. Retiring Rep. Niki Tsongas’ (D-Lowell) open 3rd District concludes a long Democratic primary featuring a myriad of candidates. The field is now down to ten candidates after three withdrew, and several are competitive. Daniel Koh, former chief of staff to Boston Mayor Walsh, has raised more than $3.3 million and is one of the top candidates. But, the 3rd District doesn’t touch any of Boston, and coming from the state’s dominant city might not be viewed as a major positive within a field of so many more locally based candidates. Other strong contenders include state Sen. Barbara L’Italien (D-Andover), who wants to launch impeachment proceedings against Supreme Court Justice Clarence Thomas; former US Ambassador Rufus Gifford has raised more than $2 million for his congressional effort, while state Rep. Juana Matias (D-Lawrence) possesses strength within the district’s Hispanic community. Ex-congressional aide Lori Trahan is also running an active campaign and could become factor tonight. The Republican nomination is decided. Business owner Rick Green is unopposed for the party nomination and poised to run a competitive general election campaign against tonight’s winner. The 3rd District is one seat where Gov. Charlie Baker (R) must run well to secure re-election, and he is on track to score a landslide victory. Therefore, Green taking advantage of the opportunity to work in conjunction with the Baker turnout operation here is a decided positive. The 9th District will also yield a potentially competitive general election, which is another place where Gov. Baker must run up the score. Here, former chain convenience store owner Peter Tedeschi (R) is quietly putting together a viable challenger campaign opposite three-term Rep. Bill Keating (D-Bourne/Cape Cod) who has only averaged 53.5 percent in his trio of campaign victories. The congressman posting his strongest showing, 55.1 percent, in his initial campaign yet failing to expand upon that number in subsequent re-election efforts suggests potential political weakness. Keating won re-election in 2016 with just 52.5 percent against an opponent who spent less than $1,000. The congressman faces anemic Democratic primary opposition tonight, while Tedeschi is unopposed in the Republican primary.